There will be no Sunday ringing today and no practice session tomorrow because of the flood blocking the entrance. Yes of course the ringing chamber’s quite a bit higher than the floodwater but ringing in waders is so unseemly. Don’t worry, our skills won’t wither for want of practise, we’ll temporarily decamp to St Mary’s, Bentworth where they also practise on Monday evenings. 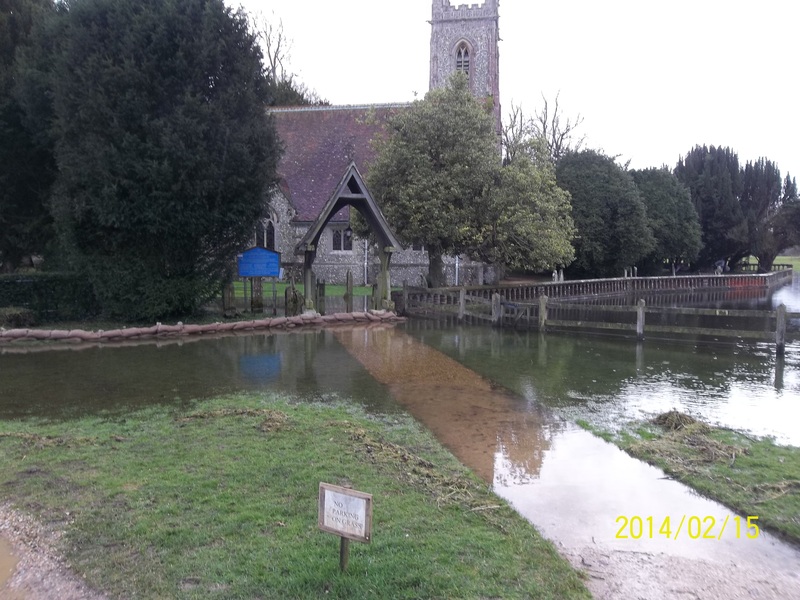 Feb16February 16, 2014 • By chawtonringer • This entry was posted in bellringing and tagged Bellringing. Bookmark the permalink.